16-port docking station for Mac computers with a Thunderbolt port. Thunderbolt 2, USB 3.0, 6Gb/s SATA and eSATA, FireWire 800, Gigabit Ethernet, and audio interfaces. Includes choice of 8x DVD±RW drive, Blu-ray BD-ROM/8x DVD±RW drive, or 4x BD-R/8x DVD±RW drive; also available without optical drive. Supports installation of one 3.5" hard drive or two 2.5" SSDs or hard drives; model without optical drive supports additional 2.5" drive. 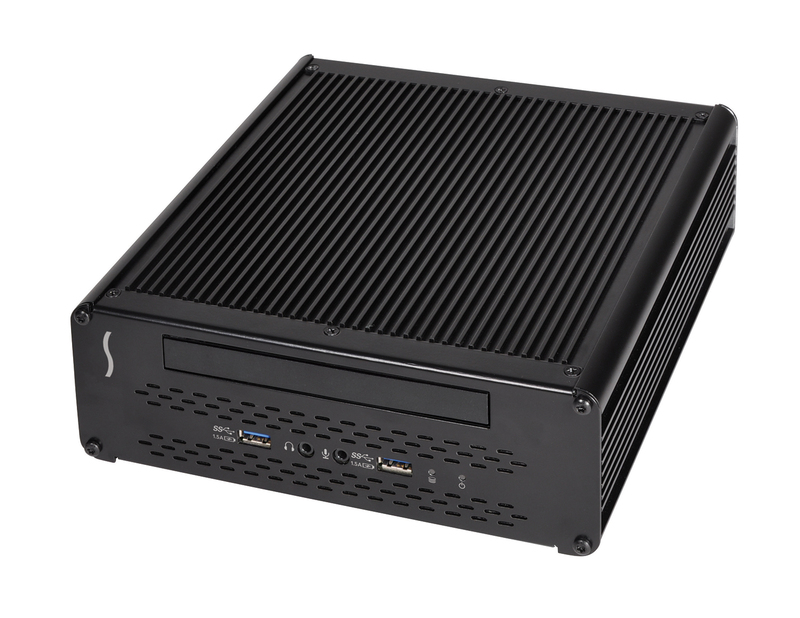 Two Thunderbolt 2 ports support daisy chaining of up to six peripheral devices to a single port on the host computer. ExpressCard adapter for use with compatible Sonnet and third-party ExpressCards and computers with Thunderbolt ports. In addition, Echo ExpressCard Pro is the fastest and least expensive SxS memory card reader with Thunderbolt technology. 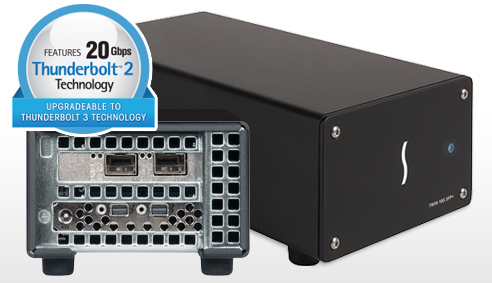 Professional dual-slot CFast 2.0 card reader for computers with Thunderbolt 3 ports. Supports ingest from any CFast card at maximum speeds, and simultaneous ingest of two cards at up to 1000 MB/s. 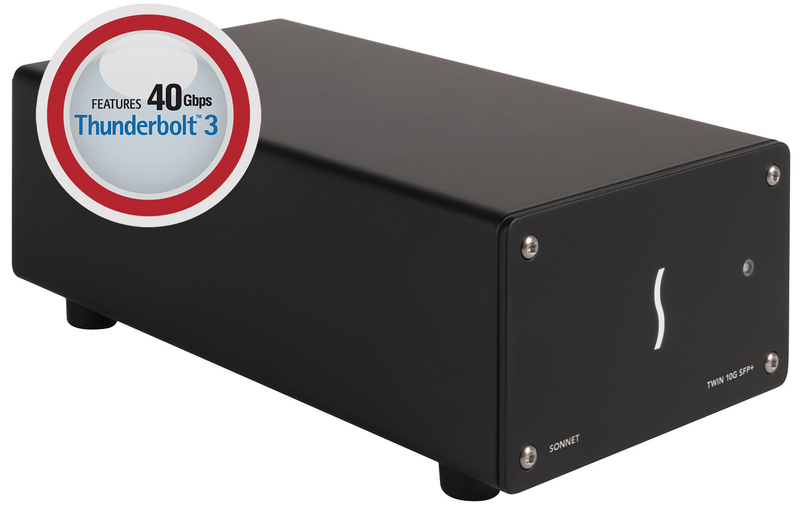 Features a 40Gbps Thunderbolt 3 interface with user-replaceable, captive 0.5-meter Thunderbolt 3 (40Gbps) cable with USB-C connector. 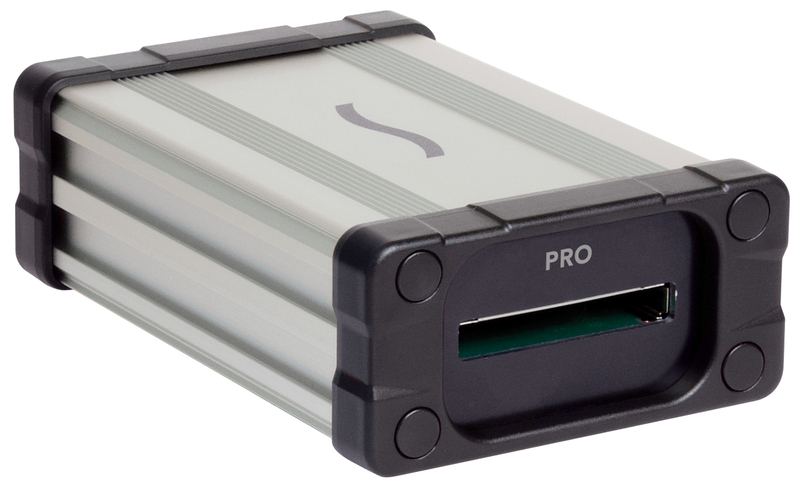 Professional dual-slot SxS card reader for computers with Thunderbolt 3 ports. Supports ingest from any SxS card at maximum speed, and simultaneous ingest of two cards at maximum speeds. 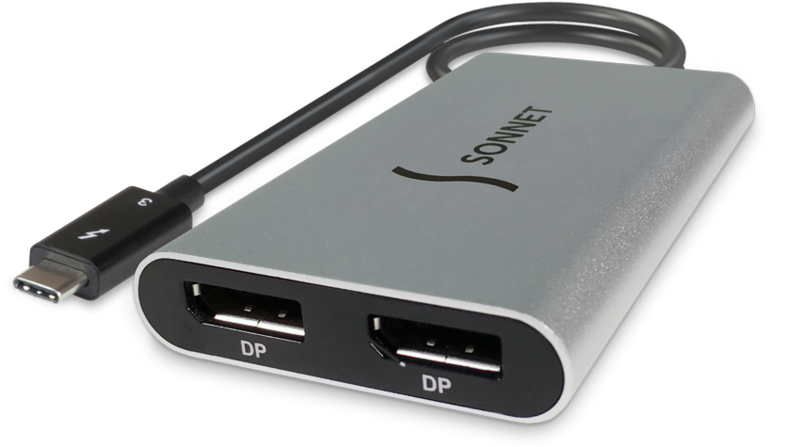 Features two Thunderbolt 3 ports to support daisy chaining of up to six devices. Thunderbolt interface adapter for Avid’s Media Composer| Nitris DX and Media Composer| Mojo DX high-performance digital I/O and monitoring products. 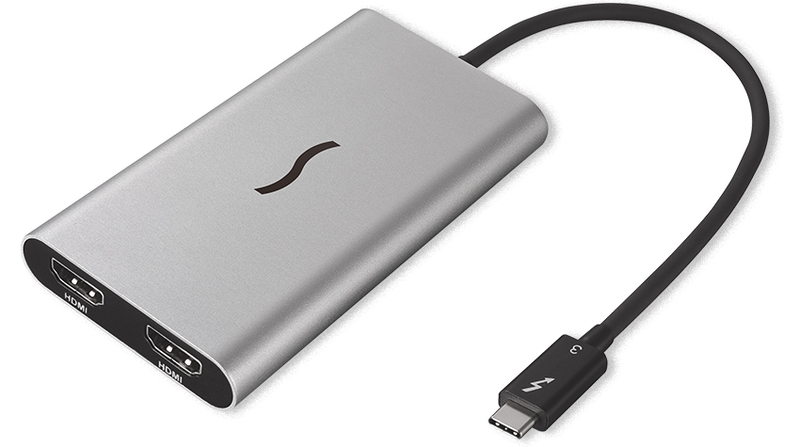 Dual DisplayPort Thunderbolt 3 adapter enables connection of up two 4K displays, or one 5K display, to Mac and Windows computers with Thunderbolt 3 ports. 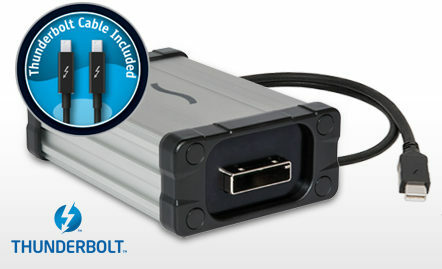 Thunderbolt Certified for Mac and WIndows. Panasonic P2 memory card reader for any Mac with a Thunderbolt port. Read speeds up to 70 MB/s. Supports all P2 memory cards and frame rates. Supports microP2 cards with adapter, sold separately.